My little project continues. A lot of changes have been made since last time, thanks to suggestions from a club member who tried it out. 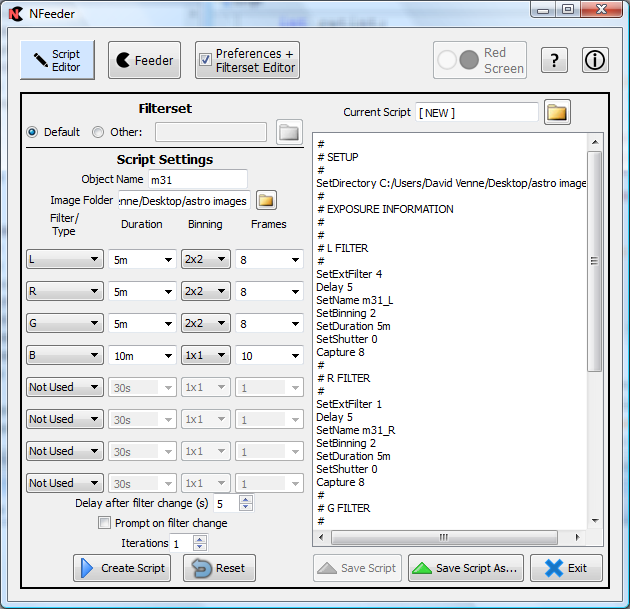 The box showing the script now automatically scrolls to keep the current command in sight. The status even indicates when the latest image is being downloaded. Because it's possible to manually edit the created script (and thereby introduce errors), the script gets parsed and error-checked as it's sent to the Feeder screen. It's been simplified to emphasize working with the default set. On the left is something new: Preferences. There's only one setting at this point, but I've left room for more. A new object I call the Preference Manager is now running nicely and ready for more work. 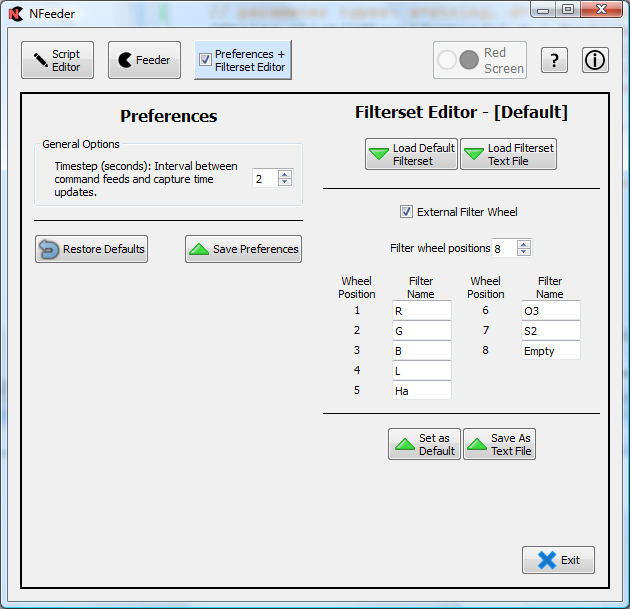 Preferences are stored in the Registry. 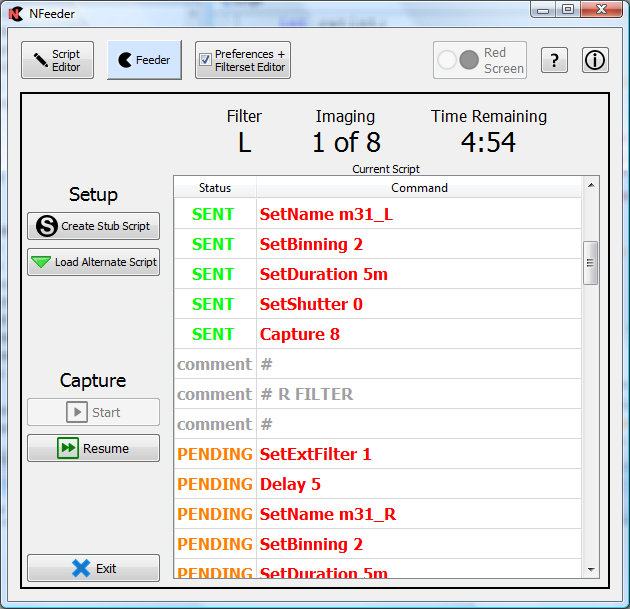 Speaking of the Registry, I've made sure that an uninstall of NFeeder removes everything it put into the Registry. Options for using a larger set of Nebulosity script commands. Night vision ability, which I'm finding difficult because it will require using Qt's stylesheets. Want to try it out? The Download is HERE. There was actually a nice night a little over a week ago and I managed to sneak in a couple of images using my 135mm Olympus lens. It captured three more images toward my AL Bright Nebula list! The latest images were post-processed with the aid of Imagenomic's NoiseWare Professional Edition standalone noise reduction software. It's almost too inexpensive to not purchase. There's also a Photoshop plugin available at a higher price.